I have 3 little boys, and while they all like playing together and being together, they each have different personalities. When going on an adventure, each one has a different idea of what an adventure means to them. My oldest has always felt like an adventure had to be something on a massive scale. Anything short of a very long drive, and going to do very new things is not an adventure in his books. I always have to pull a sense of adventure out of him, and push him to make new friends. 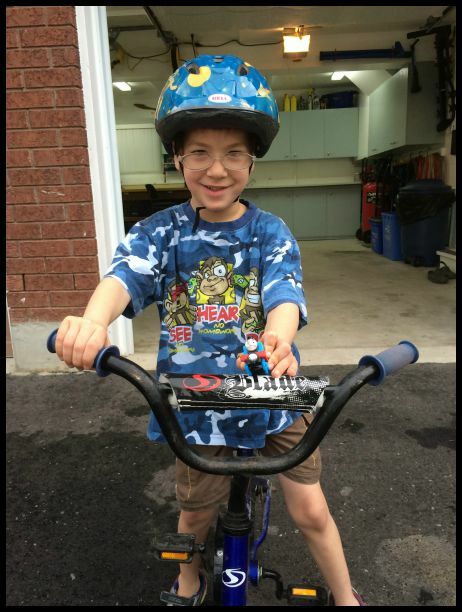 For my middle son, EVERYTHING is an adventure! He has actually said to me before “Mommy let’s go on a wild and crazy adventure together! Let’s go to the living room!” That is approvimately 50 steps from where we were, and we “spotted” aliens as well as all sorts of bad guys. There was also a light saber fight where he needed to protect me. Nothing is a quiet adventure either. There is always running, jumping and all sorts of loud noises! But we are never bored, and it keeps me on my toes. My youngest seems to think everything we do together is an adventure. Before he started school we used to go on adventures every day. To the mall, to get the mail, anything we did together -hand in hand – was an adventure. To this day, if we go for a family walk he will say “Mommy this is such a fun adventure”. Since my youngest loves going on adventures, and anything can be an adventure if we want it to be, I like thinking of extra special things we can do just him and me. I try to make special time for each one, but with my youngest I will take him to go shopping with me. He loves it, since it is a treasure hunt! What will we find? Groceries are a lot more fun when you think of them as a treasure hunt, and a grand adventure! The key for me is to think of it as an adventure with him, not “let’s just get this done” and get home. Do you know who loves adventures? Thomas & Friends™! 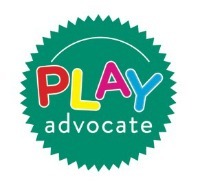 To help give kids across the country more adventure and fun, Thomas & Friends™ has teamed up with Toy “R” Us on a Gold Ticket promotion! Purchase any specially marked Gold Ticket Thomas & Friends™ item at a Toys ”R” Us store, then enter the PIN online. You have the chance to win a grand prize of a trip to 1 of 3 Hard Rock hotels in Mexico or the Dominican Republic! Now that, my friends, it’s a real adventure!! As back to school approaches, make sure to fit in as much special adventures as possible while you still can. Be sure to include Thomas, and you can have a chance to win a Thomas & Friends™ Take-n-Play™ Daring Dragon Drop set valued at $44.99! 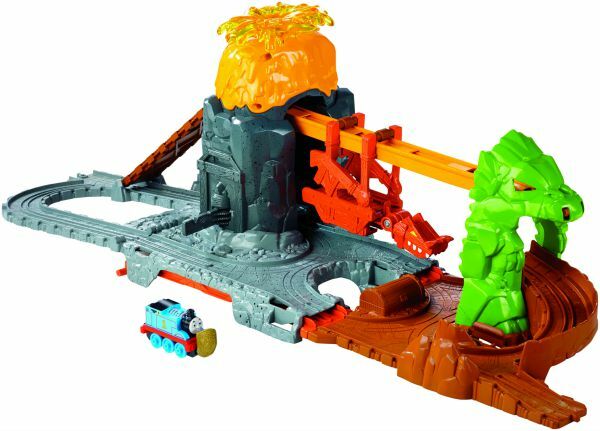 The Daring Dragon Drop playset easily folds up for storage and portability and includes a die-cast metal Thomas engine, volcano with “erupting” feature, dragon bridge with zip-line, bridge track and a loop of track. A Thomas and Friends Giveaway! Tagged giveaway, Thomas, toys. Bookmark the permalink. we have had so many different outings, but one that stands out was years ago, we went to place where they had an old operating train, we spent the entire day there, on the train. He loved trains so much. Our most recent adventure was the Journey under the falls, in Niagara Falls. Our most recent adventure was a trip to the spray park, my grandkids just love that. Latest adventure would be camping and going to the beach “looking for treasures”. We went on a canoeing adventure. We packed a lunch to eat on the little island. Camping in the pouring rain!…memorable. My daughter and I had a great adventure beachcombing yesterday. We were pirates and found lots of treasure! We went to the beach exploring today, that was quite the adventure! We went to explore the aquarium for the first time! The best adventure was to the beach. We searched for beach glass and found tons! Best adventure we recently had was a road trip to Tofino, BC! Went to Mont Cascade. A great adventure for the boys. My husband had an electric train set that I got for him one Christmas and it would go around on its tracks. Long story short, something happened and the train and its cars would not go any more. We spent a week at the cottage recently threat was an adventure, lots of time exploring the beaches nearby! My girls went to canoe and kayak camp for a week! We like to go camping! We went to Day Out with Thomas in June and my daughter was over the moon – she’s still talking about it! I’d say adventures on the beach! We took our girls deep sea fishing a few weeks ago. Ah, I’m disappointed this is for Canada only–my son would love it! The latest adventure we have had was a bike ride to a local spring fishing spot and watching a loon in the water. We took our first trip with our trailer and it was to visit Barkerville in BC. My kids recently had the adventure of being a ring bearer and flower girl, respectively, in my sister’s wedding! Took the grandchildren on a road trip to Drumheller and Calary. My son recently had the adventure of going to a professional football game with his friend’s family. He had a blast! The last adventure I went on with a granddaughter was to the zoo and prehistoric park. It was fun seeing the look on her face as she saw the animals. My son went to BC to visit his aunt and cousin, he went to a mountain and got to build a snowman in the summer. He was so amazed. We took a trip to explore some local trails. There were lots of bird and chipmunks to see.